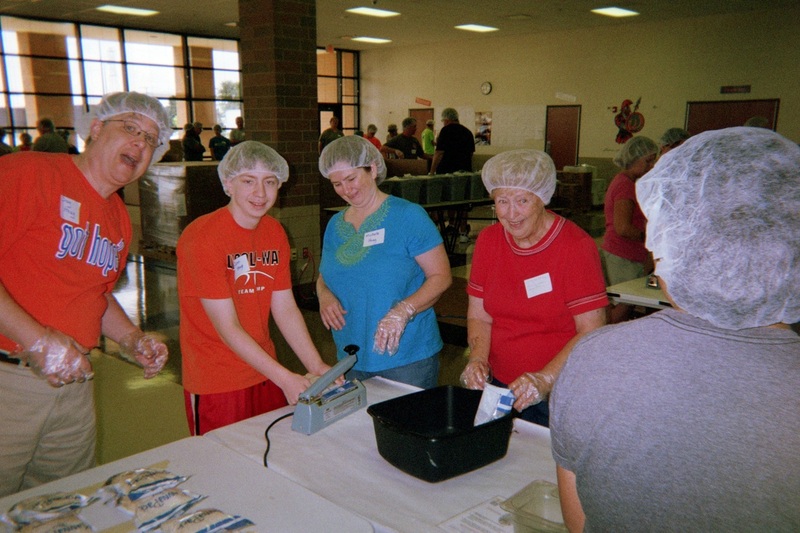 Nearly 50 members of our congregation signed up to help pack food for the Lincoln-Way Area Mobile Pack Event held on August 9th and 10th at Lincoln-Way West High School. 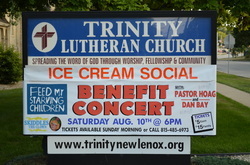 In addition to packing meals, we also hosted a benefit concert at Trinity with all proceeds going to Feed My Starving Children. 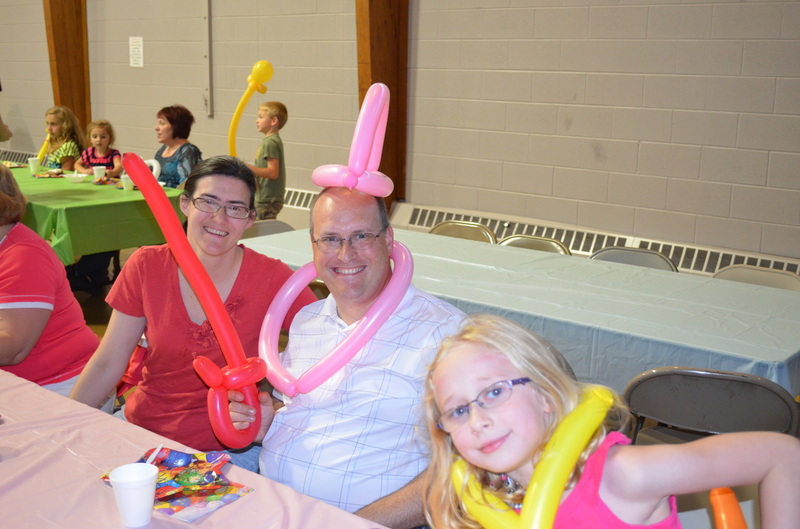 That event included a 45-minute concert by Dan Bay & Pastor Hoag (with several sing-along songs enjoyed by the attendees), followed by a performance by Skiddles the Clown, and ending with an ice cream social, hosted by our own Social Ministry group. This was a great success thanks to the efforts of a great many folks. See below for more pictures from it. 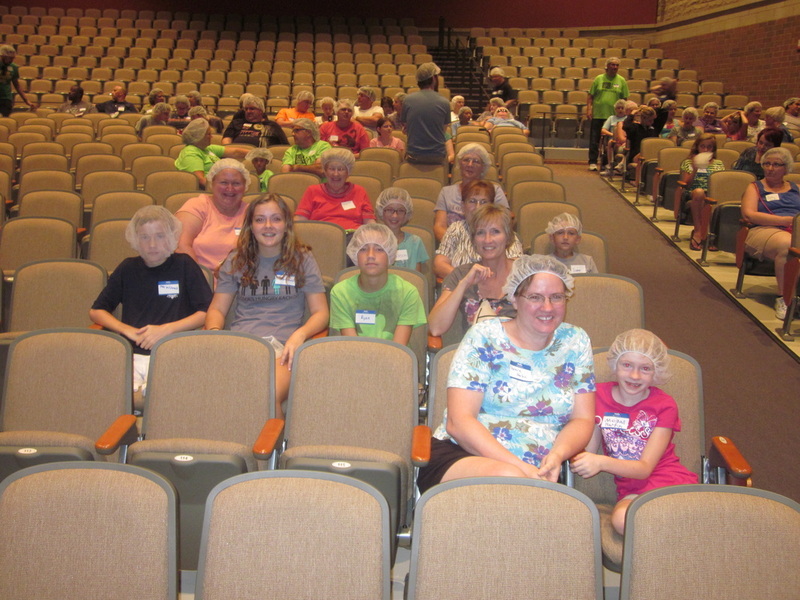 Some of the trinity volunteers ready to pack! Packing in action! the hoags along with judy wilmsen roll up their sleeves for a good cause. 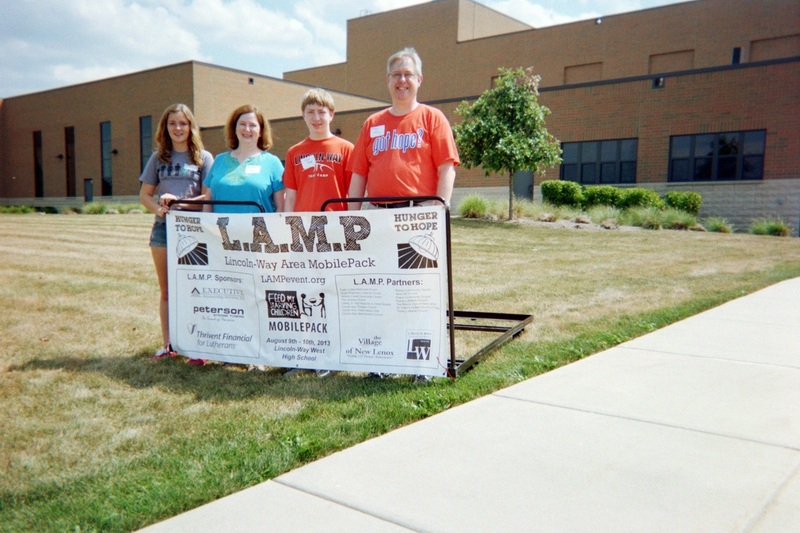 the hoags along with leah mcdonald outside L.W. West high school representing trinity lutheran. 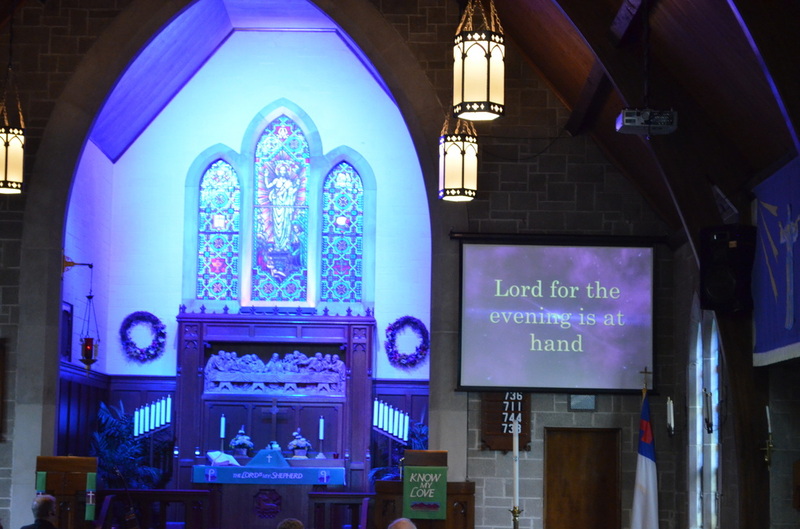 the altar in blue during the benefit concert. 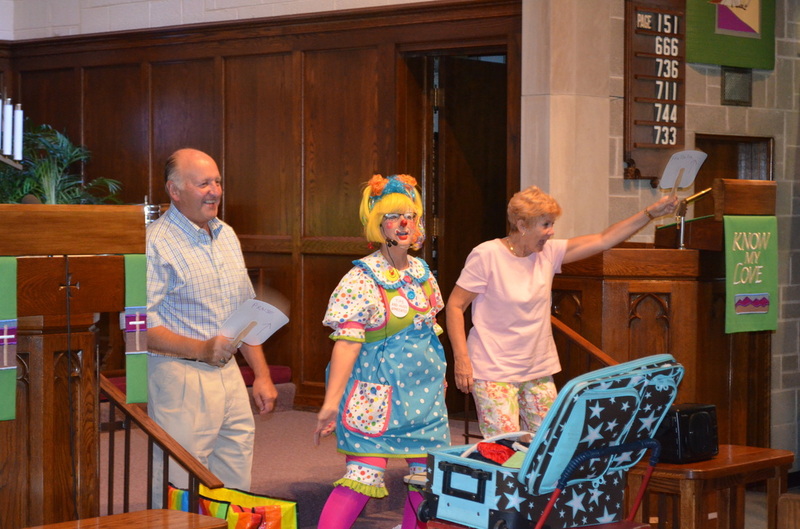 skiddles recruits some volunteers for "Hallelu, hallelu, hallelu, halleluia, praise be the lorD!" 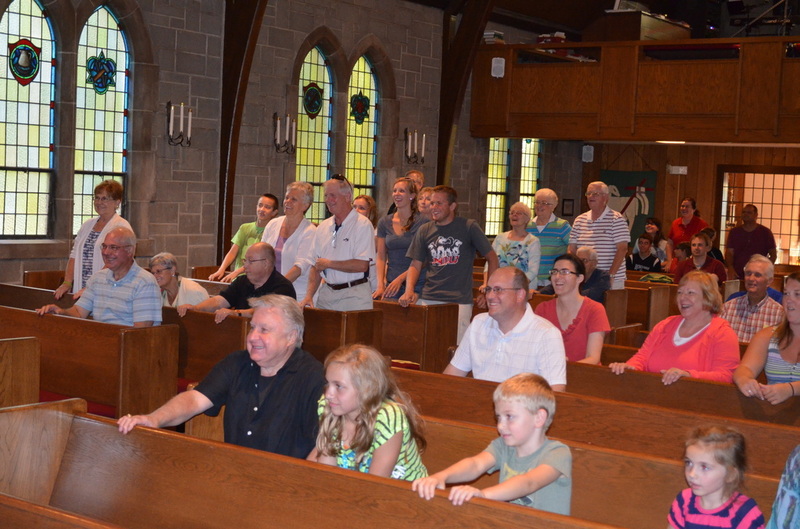 the congregation gets in on the act. the smiles on all of the faces say it all - this was a great event! 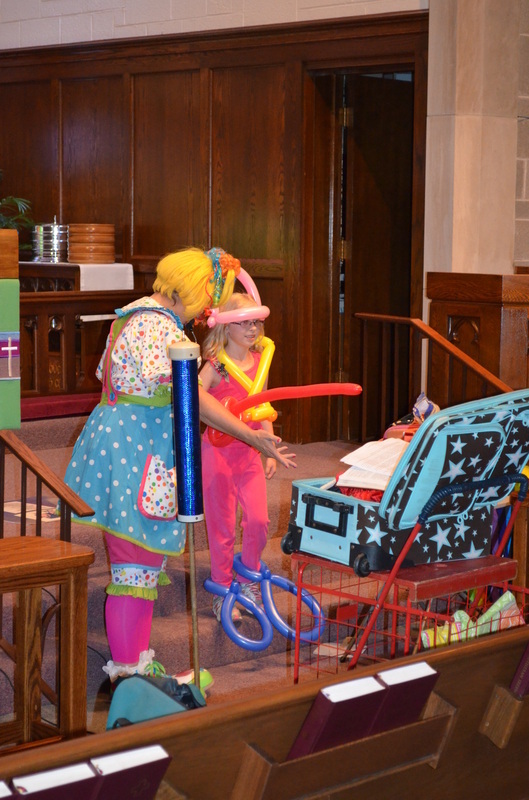 skiddles dresses up a soldier in god's army in balloon armor! ice cream reward after all of the singing. 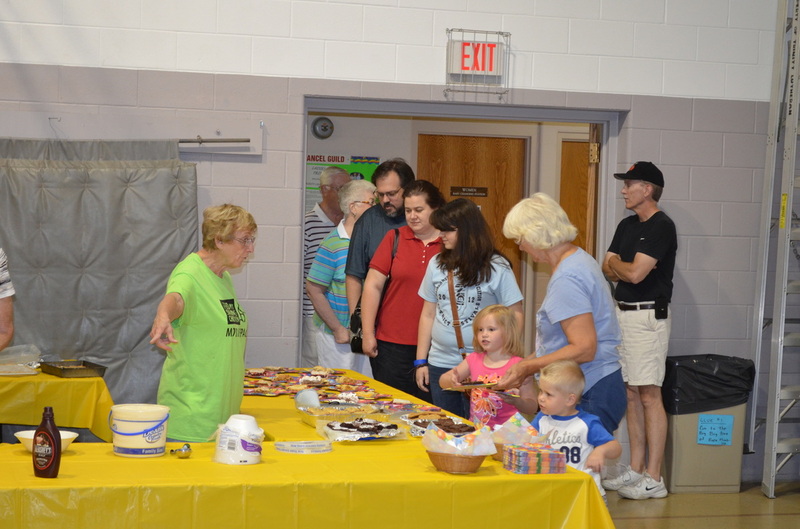 ice cream - line #2 with Ginny directing traffic. hats off to social ministry for their role in this event! christie shares some of her "armor" with her dad.